Hello, my name is Elias Daler and this will be a dev log of my game! I'm a solo hobby developer and work on the game in my free time so the progress won't be very fast I hope I'll post some interesting stuff from time to time! You can read previous dev logs here. 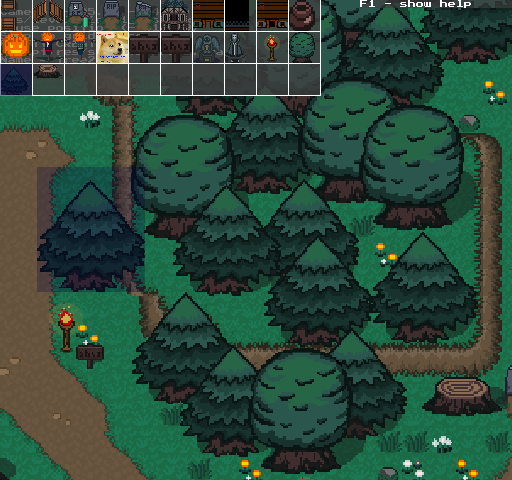 The development of this game started in October 2013. I'm writing the game in C++ and use SFML. I also use Lua for scripting. I'll try to explain how my game works in next posts. I'll write about how I use scripting, how my entity/component/system works and lots of more programming stuff! The main hero is an undead knight who was betrayed by his partner, Necromancer, during a fight with a giant demon. When the hero raises from the dead, he realizes that lots of time has passed since his death. The Great War between humans and undeads is being fought for several centuries. Necromancer is still alive. He actually became a Lich. He has lots of power and uses undeads as a cheap working force. The hero explores society of undeads and finds out that they don’t actually want to kill humans. They just don’t want people to use them for training and steal their treasure! The hero decides to stop the war and prove that undeads are not that evil as it seems. Undead City becomes hero's new home. 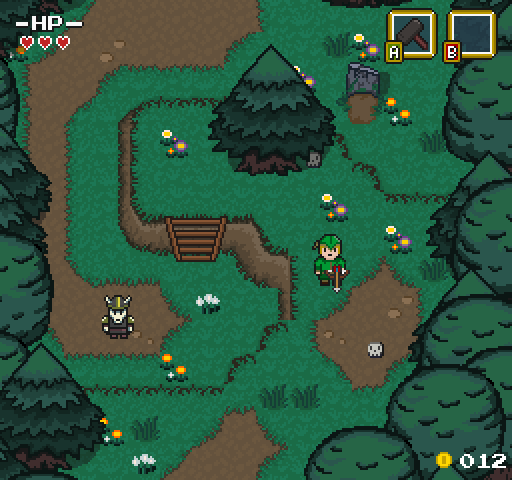 The gameplay is very similar to top-down 2D Zelda games with the exception of the main mechanic of the game, called recreation. 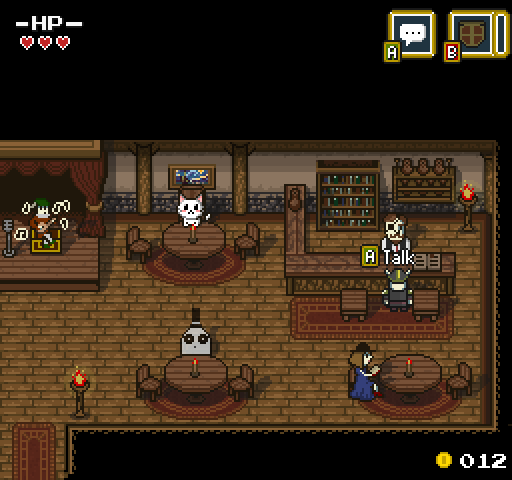 At any point of the game, you can become a ghost and travel through objects easily. You can't carry any weapons other than a hammer in the game, so you need to control enemies with bows to be able to use arrows, enemies with shields, to be able to block attacks etc. If you're killed when you're controlling someone else, your ghost will automatically return to your body and the person which you were in will respawn shortly after (because you can't solve some puzzles without other bodies). I use C++11, SFML and Lua. I also have in-game level editor and other cool stuff which helps in development which I'll show off later (I plan to write about it in a few days). You can also read old dev logs here and here! You can find some details about implementation there. And feel free to ask some questions about tech stuff, I'll be glad to answer them. I've made new death animation. 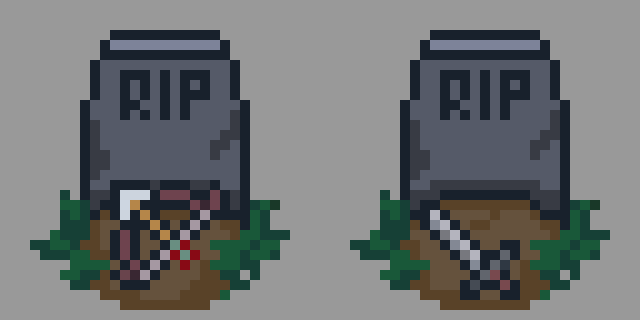 You can see who's lying in the grave by looking at the weapon which lies near it. This is a house of Master of Recreation. He's the guy who will teach you the main principles of recreation and some combat stuff. This tileset is quite reusable and I'll use it in other houses as most games do. You can also go into buildings now. This was quite interesting to make, because it involved attaching AIComponent to the player. First, door's state is changed to "DoorOpenedState". Then I disable player's CollisionComponent (so he can go through houses's collision box). This is much more easier than making multiple collision boxes for houses. 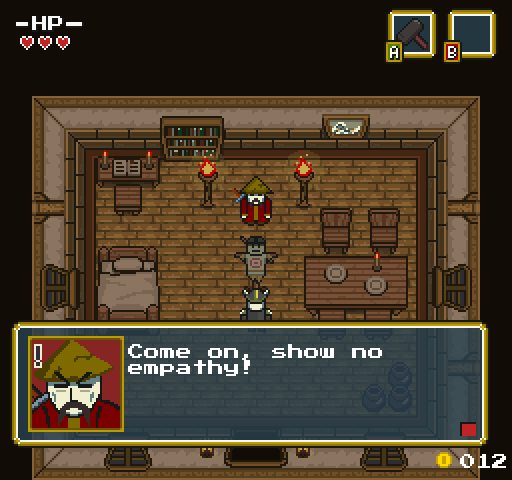 Then a target inside the house is set and AI turns on, so the character walks in without player doing so. Then a transition effect happens and another target for AI is set and the character goes there. After he arrives at destination, AI turns off and player can control the character again. CollisionComponent is enabled. Pretty easy and works perfectly well. Very cool! Neat concept and I like that your having fun with it! Can't wait to see what you do with the duck! Four Realms. Action RPG. Platformer. Animals. I have been following your game for a few months now on reddit, but its great to finally find you here (also just found you on twitter, I am new to twitter myself). 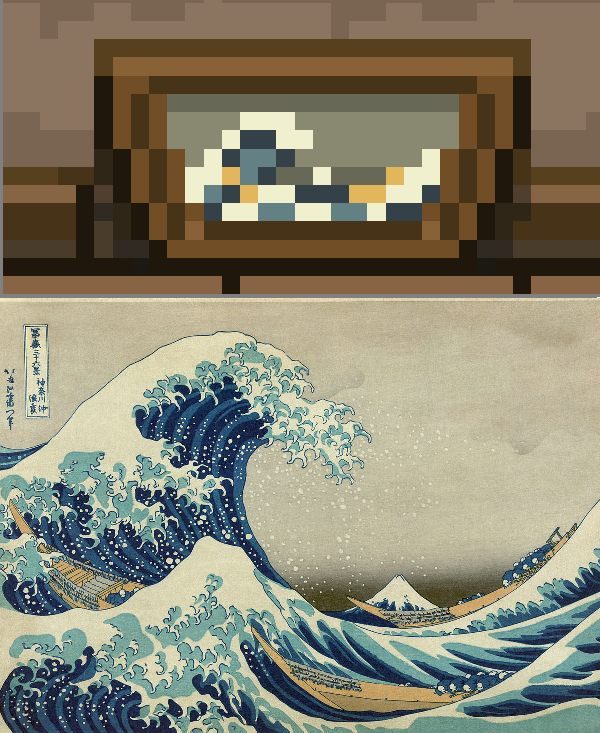 Is that painting that Japanese painting of an ocean wave, by any chance? How do you do your GIF screen captures? Mine always turn out so grainy! Keep up the work, really like your game concept and art style! Yep, that's "The Great Wave off Kanagawa"
LICEcap. It's a very good program. Here's a side attack animation I've made. It makes hits very satisfying! Can't show anything at all, unfortunately. Fixing some bugs, paying of programmers debt, etc. My main goal now is finishing first few levels, so they could be played from the beggining to the end. The graphics won't be finished, but the progress will feel good. And I'm going to start posting notes about my development process soon. I'll show how I create entities with Lua tomorrow. Entity is every object you see (and don't see, e.g. collision boxes, triggers, etc.) in the game: rocks, tress, NPC's, etc. Each entity has a number of components which are stored in std::vector<Component*>. Component is a data about particular aspect of entity. There are number of different components: GraphicsComponent (contains info about sprite, texture, animations, etc. ), CollisionComponent (information about bounding box, collision response function, etc. ), HealthComponent, etc. Systems are where logic lives. They have a list of components of currently active entities which they iterate through. They don't care which type of entity the component belongs to. For example, RenderingSystem iterates through GraphicsComponent's and renders them in particular order. CollisionSystem checks collisions between entities usign their CollisionComponent's , etc. What's cool about ECS is that there is no complex inheritance tree and this solves lots of problems (blob-classes, deadly diamond problem, etc.). In fact, there are no classes which inherit from Entity class. Okay, pretty cool. But how do you create specific entities, like an NPC or a house? A Factory pattern may be used, but eventually you'll have lots of different types of entities and customizing entity definitions would cause recompilation which is not very good. This is where Lua helps me a lot. Note, that this script doesn't create entity. It's simply used to obtain data to set different components parameters and then create Entity in C++. I get all table's keys and now I have a list of components I need to create. Then I pass luabridge::LuaRef's to each component constructors (LuaRef is a reference to a table in LuaBridge, C++/Lua binding I use). Components get parameters from these tables and then they're attached to what I call "template entity". Template entities are created with scripts and other objects of this type are created using this C++ object (by calling copy-constructor and copying each component). This means that only one entity is created using information from the script. Instances of entity type are created much quicker by copying. I could have easily used JSON or XML for this, so what's the point of using Lua? Lua is used for adding different functions to entities and this makes scripting very enjoyable and lets me put lots of code in Lua instead of C++. This is very awesome, because it lets me easily change entity behaviour with no recompilation. I can even change entity properties and functions when the game is still running! Isn't this great? Here's an example when Lua functions are used to provide different entity behaviour. For example, different entities may react differently to collisions. But in C++ it will do a lot more: check if NPC component exists, get text by tag from it, set dialogue state for GUI, set text for that state, etc. And that's just a small simple example. Complex entities have state machines and callback functions which are easily scriptable too (more about that later). This lets me easily create new types of entities without touching C++ code. No hardcoding required. This also makes my game very moddable. different entities, it's pretty fast and makes no noticeable difference. The perpective is quite off, so I'll be working on that! Worked on the tileset today. I think it's a big improvement. Still unsure about the perspective. Hmm I find the ladder perspective clashes with the perspective of the wall. Although as you say it would be hard to differentiate the heights otherwise. Your art is very nice though and I love all the little details. @JctWood Yeah, I'm experimenting with different perpsectives now and the ladder is also used indoors, which have that weird Zelda perspective and they look good there. No problem! Look forward to more. Didn't have much time to work on the game in the last few days, but I still managed to do something cool. Levels now support multiple tilesets. I can easily switch between them in the level editor. This is pretty straightforward approach and it lets me easily get texture coordinates of the tile by its id. 1) Changing the width of a tileset breaks ids, because they correspond to other tiles. 2) If I change the ordering of tiles, I need to replace their ids with new ones in the level. Then I can freely change width of tileset and swap tiles by changing their ids in a tileset file. What do you think of that? Maybe there are some cooler methods to store tilesets and levels? I already have Tile class and now I'm thinking about the better way to store/load tile information. The file has to be easily modifiable and the approach I've described is the best one that I can come up with now. Maybe someone have even better solutions. I'm mostly refactoring and polishing stuff. So, nothing new to post, sadly. 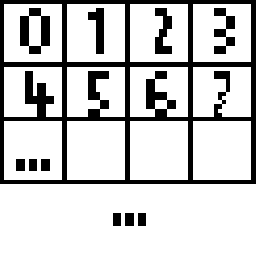 And I've posted an article which explains some of the scripting stuff used in the game. I'll post some implementation details in the second part!